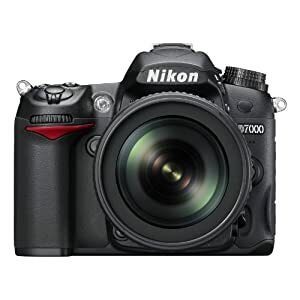 Amazon cuts $100 to $400 off select Nikon Digital SLR Camera and Lens Combos. For a limited time, save $100 or more on select NIKKOR lenses with the purchase of a qualifying Nikon digital SLR camera from Amazon.com. The more you buy, the more you save. See details below to take advantage of this offer. Offer valid through October 29, 2011, while supplies last. Applies only to purchases of products sold by Amazon.com, and does not apply to products sold by third-party merchants and other sellers through the Amazon.com site. Amazon.com reserves the right to end or modify this offer at any time. See terms and conditions. Note on Availability: Select digital SLRs are in high demand and their availability may fluctuate. If you don't see the digital SLR you're looking for, check back periodically. Additionally, lens offers vary by digital SLR model; see available lens offers for each qualifying digital SLR below. $400 off Nikon 70-200mm f/2.8G ED VR II AF-S NIKKOR zoom lens. $400 off Nikon 14-24mm f/2.8G ED AF-S NIKKOR wide-angle zoom lens. $300 off Nikon 28-300mm f/3.5-5.6G ED VR AF-S NIKKOR zoom lens. $300 off Nikon 24-70mm f/2.8G ED AF-S NIKKOR wide-angle zoom lens. $300 off Nikon 24-120mm f/4G ED VR AF-S NIKKOR lens. $250 off Nikon 18-200mm f/3.5-5.6G AF-S ED VR II NIKKOR telephoto zoom lens. $200 off Nikon 70-300mm f/4.5-5.6G ED IF AF-S VR NIKKOR zoom lens. $150 off Nikon 55-300mm f/4.5-5.6G ED VR AF-S DX NIKKOR zoom lens. $100 off Nikon 85mm f/3.5G AF-S DX ED VR micro NIKKOR lens. $100 off Nikon 55-200mm f/4-5.6G ED IF AF-S DX VR [Vibration Reduction] NIKKOR zoom lens. $100 off Nikon 55-200mm f4-5.6G ED AF-S DX NIKKOR zoom lens.